Celebrate KulturNatten at The English Bookshop! All events are free! 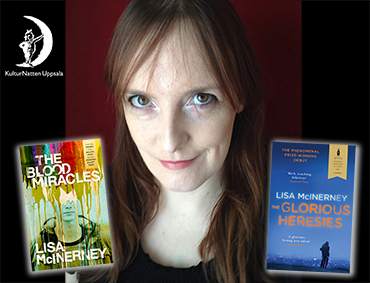 The Irish debut novelist Lisa McInerney became a major literary figure in the english-speaking world by winning both the prestigious Desmond Elliot award and the Baileys (formerly Orange) Women’s Prize for Fiction in 2016 for her debut novel The Glorious Heresies. Her latest novel is The Blood Miracles. We are very proud to be flying her in to Uppsala for this exclusive event at The English Bookshop. Lisa will be in conversation with Jan Smedh. Books will be available. To mark the occasion of the English language release of Mattias Boström’s exceptionally successful book on the Sherlock Holmes phenomena we will host a book release with talks on the book, its origins and editions. 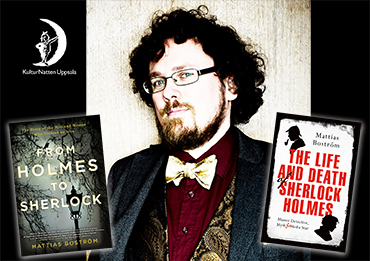 Mattias will be in conversation with Morgan Malm, an eminent sherlockian in his own right, and bookseller Jan Smedh. US title: ”From Holmes to Sherlock: The Story of the Men and Women Who Created an Icon”. UK title: ”The Life and Death of Sherlock Holmes: Master Detective, Myth and Media Star”.